How much is Shepard Fairey Worth? 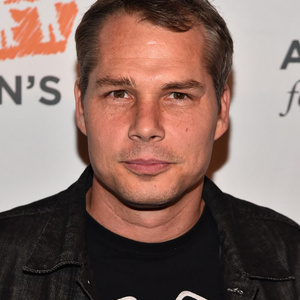 Shepard Fairey Net Worth: Shepard Fairey is an American street artist, illustrator and skateboard enthusiast who has a net worth of $15 million. Shepard Fairey was born February 15, 1970 in Charleston, South Carolina who first came into public notice for his "Andre the Giant Has a Posse" sticker campaign, in which he appropriated images from the comedic supermarket tabloid Weekly World News. Fairey made stickers of the image in the late '80s, along with the scrawl "Andre the Giant has a posse," and the image went viral, spreading throughout urban America on street signs, billboards and walls. He later adapted the image and added the word "OBEY." Mixing left-wing politics with "appropriated" images and bold graphic design, Fairey now works as an artist and advertising designer, with a gallery in Los Angeles and business ventures which dabble in publishing, fashion and urban sports (skateboarding). 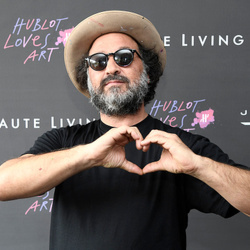 Supporters call what he does appropriation art, but detractors call it plagiarism and Fairey's success has been tainted with legal and artistic debate about who owns what when it comes to images in the public. With permission from the staff of Barack Obama's presidential campaign, Fairey began distributing the "HOPE" image in January of 2008. A year later, with Obama in the White House, Fairey's poster was officially displayed in the National Portrait Gallery in Washington, D.C., his work resembling a style that could be described as Andy Warhol meets Socialist Realism. Around the same time the Associated Press declared Fairey's poster was based on a 2006 photo taken by the AP's Manny Garcia and that they should get credit and compensation. Fairey filed a pre-emptive lawsuit against the AP, arguing he didn't owe the image. Fairey has appeared in the documentary films Andre the Giant Has a Posse (by Helen Stickler, first distributed in 1997) and Bomb It! (2007) and his work has been documented in the book Supply and Demand.